In this forum we are considering the question, “Were humans mortal before the fall?” I am going to argue that the answer to the question is of no theological consequence. My reasons have to do with, first, the reticence of the biblical material on the subject; second, with the kind of description we have in the early chapters of Genesis; and third, with how we are to conceive of Adam’s created condition and the purpose of the prohibition God laid upon him. But first, let’s be sure we’re talking about the same thing. I take the question to be, was the condition of the first humans such that, even if they had not fallen into sin, their bodies would have died anyhow? The topic matters for its own rights, namely in how we characterize the present human condition and how we suppose that redemption works. It also has a bearing on how we think about human origins, and thus about the interaction of biblical faith with the theories current in the sciences. I am aware of this bearing, but don’t intend to explore it right now. But there are other ways in which the discussion matters, having to do with our methodology. Here’s what I mean: often the differing ways we address the question reflect differing assumptions about how to think about it. So, for example, we have to consider what it might mean to “read” a biblical text “well.” Similarly, we have to think about what it means to say that something is (or is not) “in” a text. Further, there is the matter of what place “tradition” and “catholicity” have in our theological thinking. We also need to work through how we relate our “good reading” of our texts to theological and philosophical issues that the texts do not directly address. And finally, the very form of the question assumes some notion of historicity—that is, based on biblical passages, we think that there is such a thing as humankind that existed in some sense “before” an event that we call “the fall.” Often those who discuss Genesis presuppose that historicity for its events requires some kind of literalism in reading its account. 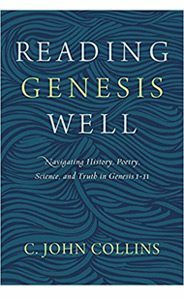 Well, I can’t explain everything I think about all of these subjects in a short article; as my mother-in-law says, “you could write a book!”—which I have done.See my Reading Genesis Well: Navigating History, Science, Poetry, and Truth in Genesis 1–11 (Grand Rapids: Zondervan, 2018). So I’ll get right to the point. What is “Death” in Genesis 2:17? Paul says that death entered the world through sin (Rom. 5:12), and this reflects a reading of Genesis 2–3. Some will suppose that this requires us to say that Paul took mortality to be a new part of human experience. (Since Paul makes it clear that he’s talking about humans here,Not so fast. The words “die” and “death” in Hebrew can refer to the death of one’s body, but they can also refer to alienation from God and from the community. we can leave aside the question of animal death.) But we have to be sure first what Genesis and Paul mean by the word “death.” In the creation story, God set Adam up in the Garden of Eden, gave him the freedom to eat from any tree in the garden, but forbade him to eat of “the tree of the knowledge of good and evil.” The consequences of disobedience: “for in the day that you eat of it you will surely die” (Gen. 2:17). For some readers, that settles it: die means die, right? And one non-negotiable principle is that when God speaks solemnly, he’s telling the truth (in literary terms, he’s a reliable character). So as we see what happens in Genesis 3 we can find out what kind of death is in view. What happens after the humans eat the forbidden fruit? Well, when they heard God walking in the garden, you would have expected them to rush out to greet him; instead they tried to hide themselves in the bushes, because they were afraid (Gen. 3:8–10). That was stupid, and it didn’t work. The man blames the woman, and the woman blames the serpent. (Since we’ve read what the narrator wrote, we can see that they’re only telling a part of the truth.) In other words, they have “died,” on the very day that they ate; they are alienated from God and from each other. As a matter of fact, that’s the main thing in view when Paul writes about the fallen human condition (Rom. 7:9; Eph. 2:1). What Were the Two Trees for? 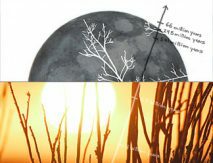 So, what was God’s purpose with the two special trees? Again, the narrator doesn’t say anything about what these trees are to do; he leaves it to us to work it out. Many suppose that “the tree of the knowledge of good and evil” has some connection with the right to arbitrate between good and evil: By this understanding, the sin of Adam was to assert his autonomy over God’s superior authority.The fourfold description associated with Augustine—able to sin, able not to sin, not able not to sin, not able to sin—can fit with the picture that I see Genesis drawing. But such questions don’t really come up in Genesis; in fact, after they eat, God admits that the humans have indeed become like God “in knowing good and evil” (Gen. 3:22). Elsewhere in the Hebrew Bible the expression “to know good and evil” carries the nuance of discernment (e.g., Deut. 1:39; 2 Sam. 19:35; 1 Kings 3:9). The best explanation, then, is the one offered by the nineteenth-century German commentator Franz Delitzsch, namely that the tree is the divinely intended means by which the humans will come to know good and evil—either from above, from the perspective of mastery over temptation, or from below, from the perspective of slavery to sin.Franz Delitzsch, A New Commentary on Genesis (T&T Clark, 1888 ), 1:138. See also Terence Mitchell of the British Museum, “Eden, Garden of,” in New Bible Dictionary (InterVarsity Press, 1996), 289–90. See also the first-century Jew Josephus, Antiquities, 1,37 [1.1.3]. Genesis doesn’t say explicitly whether we are to imagine the humans partaking of the tree of life while they were in the garden—that is, was eating from that tree part of their existence, or was it something that they would receive only after their success in obeying? Although opinions differ on this point, I am inclined toward the former. But either way, it is clear that something must be added to human nature if people are to live forever. Now, all of this fits well with how early Greek-speaking Christian fathers, especially Theophilus of Antioch and Irenaeus of Lyons,Theophilus (d. ca. 185), To Autolycus, 2.24, 25, 27; Irenaeus (d. 202), Against Heresies, 4.38.1, 3. described God’s purpose for his prohibition. God made humankind good, but not yet mature; by their obedience (think of it as the exercise of their moral muscles) they were to mature, and thus to be confirmed in goodness. 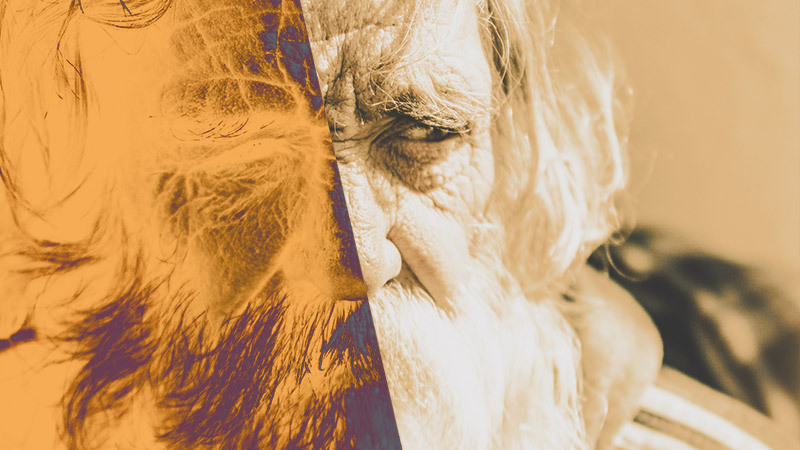 The Greek fathers tend to connect this confirmation to immortality, so that the result of the fall is both the lost chance for immortality and the subjection to moral and physical corruption.Athanasius, On the Incarnation, §§3–5, is clear on this. See Wisd. 2:23–24a, “God created mankind for incorruption and made him in the image of his own character; but through the devil’s envy death entered the world.” Western Christians have perhaps laid more stress on the guilt that follows; but, even though there are differences of emphasis, there is plenty of common ground.See the blog of Jon Garvey for helpful spade-work. The fourfold description associated with Augustine—able to sin, able not to sin, not able not to sin, not able to sin—can fit with the picture that I see Genesis drawing. This also shows why bodily death (Gen. 3:19) is part of the sentence upon humankind: This is not what they were made for, and God will make another way for the fulfilling of his purpose for human life. If we think of it this way, we can see that the condition of the first humans was intended to be temporary. Now, my own reading of the Genesis passages recognizes both an essential historical message, and lots of imagistic description, which leaves plenty of room for different scenarios. However, even if we were to follow a far more literalistic reading of the passages (which the Greek fathers tended toward), the question of whether their bodies were mortal is still of no consequence. The biblical material rarely dwells on what might have been, unless there is some edifying gain. As usual, C.S. Lewis helps us see why. In the Narnia stories, children ask Aslan several times about what would have happened. Lucy wonders what would haveThe biblical material rarely dwells on what might have been, unless there is some edifying gain. happened had she followed Aslan when she first saw him (Prince Caspian, chp. 10), and then had she not used the spell to find out what her friends thought of her (Voyage of the Dawn Treader, chp. 10). In both cases Aslan insists, “No one is ever told what would have happened”—probably in order to keep Lucy’s attention on repenting of her motives for what she did, for how she succumbed to temptation. However, when Digory resists a temptation to steal an apple to heal his mother, Aslan explains what would have happened had he fallen (Magician’s Nephew, chp. 14): “It would have healed her; but not to your joy or hers.” And his goal was to encourage Digory in the hard task of loyal obedience, showing him that it’s worth it. The case with our first parents is more like that of Lucy than of Digory, and it is therefore okay not to know. The original human calling, as I understand it, was to fill the earth and exercise a wise and benevolent dominion over it, so that, as a harmonious system it would reach its full potential. It is left debatable whether their rise to maturity was to precede this filling, or to be some kind of culmination. (I prefer the former.) But Christians anticipate a resurrection, in which we shall be glorified, and inhabit a renewed heaven and earth—in other words, we will receive that mature confirmation in goodness and life that was the human goal to begin with. Until then, because of our first parents’ disobedience, we groan, and look eagerly. 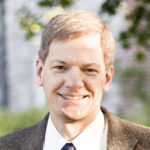 C. John “Jack” Collins (PhD University of Liverpool) is Professor of Old Testament at Covenant Theological Seminary, and was a Senior Research Fellow for The Creation Project. He was Old Testament Chairman for the English Standard Version of the Bible, and is author of Reading Genesis Well: Navigating History, Poetry, Science, and Truth in Genesis 1-11 (Zondervan, forthcoming), Did Adam and Eve Really Exist? : Who They Were and Why You Should Care (Crossway, 201 1), and Science and Faith: Friends or Foes? (Crossway 2003).